Due to being the home of Hollywood and Disneyland, California is synonymous with entertainment. Therefore, it shouldn't surprise anyone that the Golden State has some of the best live music venues in the world. 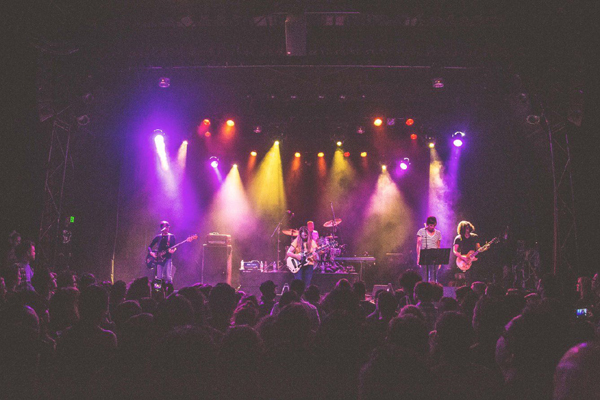 It was a daunting task to review all the live music venues in California and create a list of just 50. California is a big place and Californians are huge music fans. To make our task a little easier, we excluded all venues with a capacity over 20,000. That's why Staples Center and the Mattress Firm Amphitheatre didn't make our list. They need to frequently host some type of live music event. They need to be both patron-friendly and performer-friendly. They need to cultivate a live music experience that's memorable and very enjoyable. 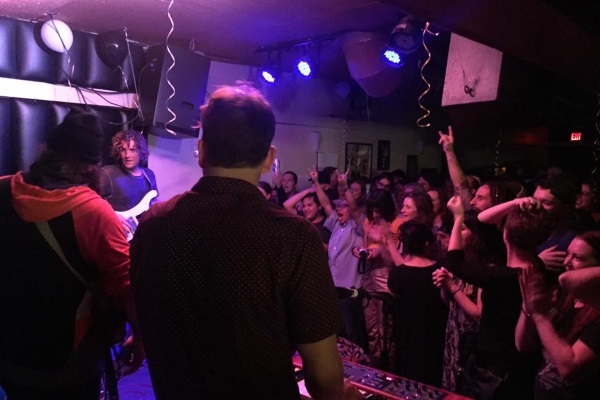 Using those three factors, among others, allowed us to create what you'll find below, our list of the 50 best live music venues in the great state of California. 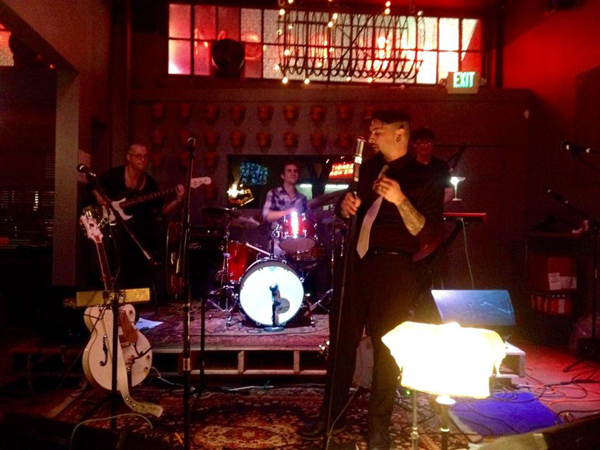 The Ivy Room is a local meeting place and music venue serving the East Bay Community. It's one of those rare places where you can hang out with friends, shoot some pool, and enjoy great live music. You've got to love a place that has a framed picture of a young Stevie Nicks on a shelf behind the bar. They have a television for the big game and a jukebox. Image courtesy of the venue's Facebook page. The Juke Joint is an award-winning downtown bar beloved by punkers, rockers, and those who like to have fun. At the Juke Joint, you can enjoy live music as well as more than 50 beers (20 are on tap), Keno, and the big game/big UFC match. 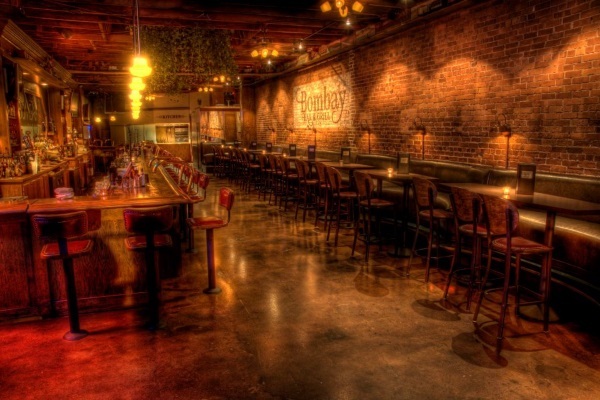 Humbrews Next Door is not only a great live music venue, it's also a great restaurant and brewpub. If you're visiting the North Coast, this is a place where you can take your family for a nice meal. It's also a place where you and your significant other can enjoy some pub grub and the nation's top touring acts. Country music fans are quite familiar with Bakersfield. The Kern County city is home of the “Bakersfield Sound.” The Hall of Fame has inducted such legends as Merle Haggard, Buck Owens, and Bonnie Owens. It also supports a Grade-A performance venue that has clear sound and comfortable seats. Getting There: The Hall of Fame's event entrance is on Q Street while its office is on R Street. The facility also houses a recording studio and coffee shop. The Sunset Cultural Center is managed by a nonprofit corporation that was founded in 2003. It's also the cultural heart of the city. It's a terminus for those that love classical music, dance, and theatre. Yet, the center has a wild side and occasionally hosts rock and comedy shows. Getting There: There are no addresses in downtown Carmel. If you need help getting there, give their box office a call. Amazing acoustical enhancement program (L.A.R.E.S). 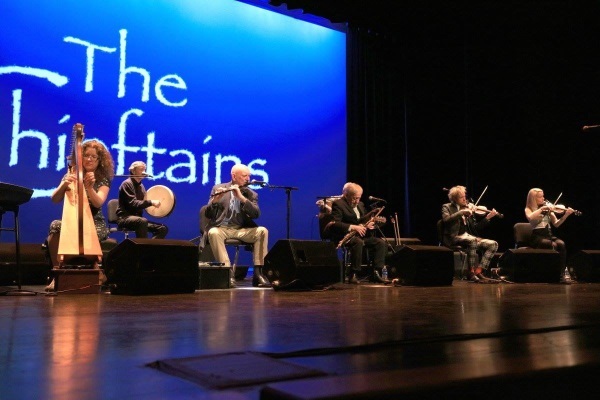 The Chieftains performing at the Sunset Cultural Center. Image courtesy of the venue's Facebook page. The Wayfarer features live music, libations, and appetizing pub dishes. This venue is the result of the genius, hard work, and inspiration of its owner, Jeffrey Chon. He also owns the Tabu Shabu in Costa Mesa and Alley Restaurant & Bar in Newport Beach. Tuesday night is dedicated to reggae music. Getting There: You'll find The Wayfarer between Monrovia Avenue and Placentia Avenue. The Wayfarer opened in July of 2014. Yes, Strummer's is named after Joe Strummer (1952 to 2002), frontman of “the only band that ever matter,” The Clash. Despite being relatively new, Strummers has a reputation for being a friendly haunt. They bring a slew of great bands to Fresno, boast a terrific menu, and serve refreshing libations. Getting There: Strummer's is in Fresno's Tower Arts District. Menu has meat, vegetarian and vegan options. Strummers is also the place to enjoy the big soccer match. 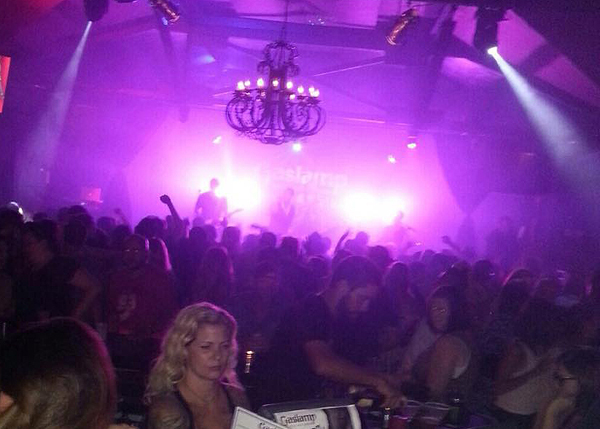 Gaslamp is a high-energy music venue, bar, and restaurant. This live music venue is erected on the corner of the PCH and Loynes. Sing karaoke on Wednesday and enjoy country music on Thursdays. If it's Friday then it's “80's with Knyght Ryder.” On Saturdays, Gaslamp hosts concerts, DJs, and/or UFC. Getting There: To get there from 405, 605, or 22: exit on 7th street, take left at Bellflower, and then a left onto the Pacific Coast Highway (for complete directions visit venue's website). General manager is Mike Neufeld. Alex's Bar is a happening locale to appreciate live music and pleasant libations. The vibe is cordial and welcoming. Visitors rave about Alex's attentive staff. If you need more reasons to check out this cool, hip establishment, parts of “Tenacious D: The Pick of Destiny” were filmed here. Getting There: Entrance to Alex's Bar is in back parking lot. They frequently host Karaoke nights. At Sgt. Peppers Dueling Pianos, you'll almost hear as much laughter as you will music. That's because two piano players lead patrons in sing-a-longs. You want to hear your favorite song? You want to sing along to your favorite song? Then come to Sgt. Peppers. Bottom line, you'll have the time of your life. They do have a menu—try the McCartney's Wings. Piano player in middle of performance. Image courtesy of the venue's Facebook page. Box office hours vary. See website for schedule. Getting There: To avoid traffic try the bowl's shuttle service. The Hollywood Bowl opened in 1922. The Hollywood Bowl seats 17,500. The iconic “band shell” was replaced in 2004. The El Rey Theatre began life as a movie theatre. It was turned into a live music venue in 1994. As you might expect from an iconic building with a rich past, The El Rey Theatre is a registered historic-cultural monument. You'll find the El Rey in the Miracle Mile area of Mid-Wilshire. Getting There: LA Metro lines 20 & 21 serve The El Rey Theater. They stop in front of the theatre on Wilshire (review bus schedule before leaving for your destination). That Dog at El Rey. Image courtesy of the venue's Facebook page. Box office open 1 to 3 hours before show time (subject to change, always call ahead). The Wiltern was originally a vaudeville theater and has twice been saved from the wrecking ball. The venue underwent four years of renovation in the early 1980s and then further modification in the early part of this century. Its interior is elegant, sophisticated, and unlike any theatre in the world. Getting There: The Wiltern sits directly across from the Wilshire/Western station. Will call is usually opened at least two hours before show time (subject to change, always call ahead). Largo is a funny music venue. Literally. When they're not hosting world renowned musicians, they're hosting hilarious comics. Arrive early, get your seat, and then enjoy a Guinness or a glass of wine in The Little Room. Once you get a seat, you can leave Largo and get a bite somewhere in the neighborhood. Getting There: Largo is one block north of Beverly Blvd at Oakwood Street. Don't show up late. You won't be seated. Five Star Bar has a wonderful vibe and a terrific staff. There are a lot of good people who work at this establishment. Heavy metal bands are frequently on the marquee, but they do book acts from other genres. If you're there before the music starts, make sure you enjoy one of their scrumptious burgers. Performance at Five Star Bar. Image courtesy of the venue's Facebook page. The Theatre at Ace Hotel is stunning. This awesome LA music venue has a 2,300-square foot grand lobby, an intricately ornate mezzanine, and a vaulted ceiling plastered with tiny mirrors. Throw in all the great acts that grace their stage and you have a venue worthy of every music fans' bucket-list. This historic venue has hosted performances by Judy Garland, Duke Ellington, Stevie Wonder, and American Idol. The Orpheum Theatre is a multi-purpose space and regularly schedules theatrical productions, film screening, variety shows, award shows, weddings, and religious events. Getting There: The Orpheum Theatre sits between the Santa Monica 10, Hollywood 101, and Harbor/Pasadena 110 freeways. Its Wurlitzer organ is one of three working pipe organs in Southern California. You've got to love a venue that has a “no-play” list. To learn all the banned songs visit their website, but we will say “Feelings” is on it. Armando's is an embracing, intimate venue. They support a plethora of musical genres except for cliché bar rock. Make sure you bring cash and that you're over 21. Getting There: From I680, take the Marina Vista Avenue exit. From HWY 4, take the Alhambra Avenue exit (for complete directions visit venue's website). They offer bands a complete sound system and stage lighting. Box office open at 2pm and remains open until show time (subject to change, always call ahead). This is one of the most interesting music venues on our list. At Ironstone Vineyards, you'll find the Ironstone Amphitheatre. This outdoor venue attracts some of the biggest touring acts in the world. So, make it a long weekend—enjoy a concert and the hospitality (and wine) of the Ironstone Vineyards. Getting There: Located approximately three to four hours from Bay Area. Low beach chairs are allowed in general admission area. Facility also contains a tasting room, music room, banquet facilities, and wine caverns. Crazy Horse attracts big-time talent. Musicians love playing in the snug venue with its superb acoustics. Meanwhile, patrons pack the Crazy Horse to party and cut a rug. Crazy Horse books all kinds of acts except for heavy metal. Their kitchen is famous for hamburgers; they are made with Niman Ranch beef. Building dates back to the Civil War. Crazy Horse opened its doors in 2012. The Polyrhythmics performing at Crazy Horse Saloon & Grill. Image courtesy of the venue's Facebook page. Paul Kulak created Kulak's Woodshed in 1999. It's a remarkable space that's for performers and music fans. Not only is KW a live music venue, it's also a recording studio. This inimitable venue has drawn all types of performers to its stage, everyone from established Grammy winners to emerging new artists. They serve soft drinks, coffee, and tea, but no alcohol. Booking Examples: Delaney Bramlett, Jackson Browne, Ray Parker Jr. The Layover is all about groovy music, organic cocktails, and good times. Besides being a highly-regarded music venue, it's also an art gallery. Artists are rotated monthly. The Layover books top DJs as well as sidesplitting comedy acts. For specials, they have Tequila Tuesdays and Whiskey Wednesdays. The artwork, lamps, and furnishings are for sale. The UC Theatre is run by a nonprofit called The Berkeley Music Group. Their aim to is present a wide range of live performances. Does live music make you hungry? You can get a bite to eat at the UC. Their menu is prepared by celebrated chef Dov Sims. To volunteer, visit their website. Getting There: From I-80 East, take the University Avenue exit and go east (for complete directions visit venue's website). 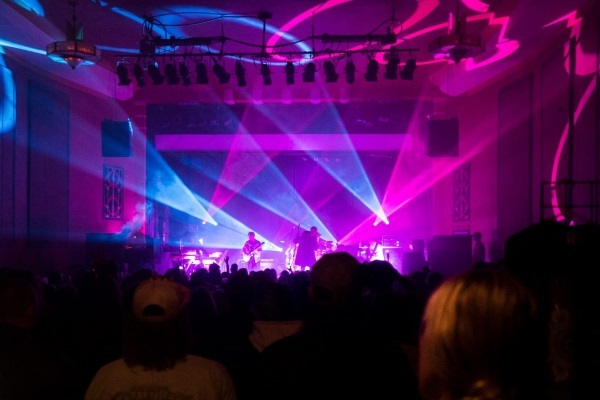 Dark Star Orchestra played first concert at venue on April 7, 2016. Head out to the countryside to enjoy the best in live music and wine. The Vina Robles Amphitheatre—labeled a boutique amphitheater—is situated on a picturesque hillside in San Luis Obispo County. Here you can enjoy concerts under the stars. Vina Robles has seating options within 150 feet of the stage. Getting There: From Highway 101 take Highway 46 East, just three miles from downtown Paso Robles (for complete directions visit venue's website). Concert season is April through November. Many consider McNear's Mystic Theatre the premiere music venue in the North Bay. After a few songs from your favorite artists, you'll agree. When you attend one of their shows, you will have access to fine food and drink. Luminaries that have graced their stage include Van Morrison, Train, and Joan Baez. Matisyahu performing at McNear's Mystic Theatre. Image, by Marissa E./Bulldog Media, courtesy of venue's Facebook page. The Dip is an original and captivating music venue that also offers beer and cocktails—both of the craft variety. The Dip used to be the flipside of the coffee shop “Serendipity Coffee.” They sold joe by day and hosted live music by night. If you appreciate independent music then you'll appreciate The Dip. The Guild Theatre is over a century old. In 2003, the St. Hope Academy renovated the space and turned it into what it is today. St. Hope operates The Guild Theatre and both are successful nonprofits. During the restoration, St. Hope resurfaced the stage and added a slick LED lighting system. Building was part of the Moorish revival that was popular during the era. Booking Examples: Besides live performances they also host plays, films, lectures, and discussions. "We have something for everyone!" OC Tavern has it all. Besides being a live music venue, they are also a full restaurant and sports bar. Furthermore, they have the first mini-satellite horse wagering bar (with live tellers) in the state. On Fridays and Saturdays, come to the OC to dance the night away to tunes spun by California's hottest DJs. If The Casbah could talk it would probably brag about hosting concerts by Nirvana, The White Stripes, and The Breeders. They suggest picking up your tickets at will call. That way you don't have to worry about getting them in the mail or your dog eating them. They do have pool tables, pinball, and Galaga. Getting There: If you're taking the trolley, take the Blue Line to Middletown. Then, walk up to Kettner and toward Laurel (review trolley schedule before leaving for your destination). Original capacity was 75. 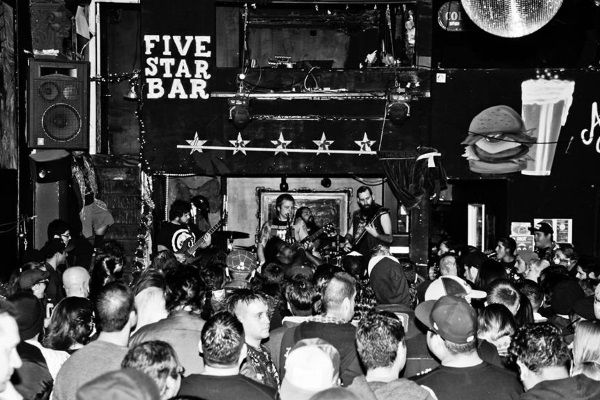 Today, The Casbah's capacity is 200-plus. 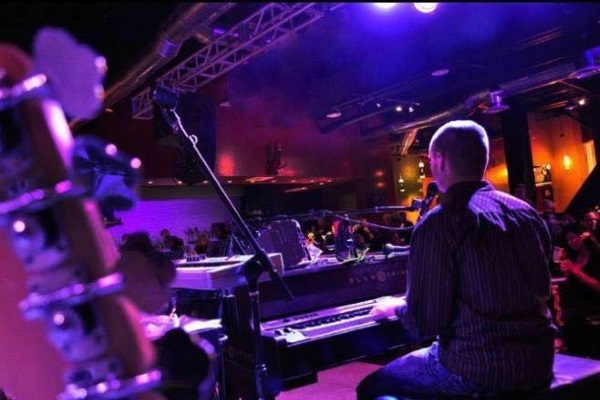 Soda Bar has created a fun atmosphere to enjoy terrific live music. That's awesome because attending concerts should fun. The Soda Bar has a full bar. They don't take reservations, so if you want a booth arrive early. If you don't want to drive home, the Lafayette Hotel isn't too far away. The Donkeys performing at Soda Bar. Image courtesy of the venue's Facebook page. Music Box hits the sweet spot. It's just big enough to attract world class artists but small enough to host those world class artists in an intimate setting, the kind music fans cherish. Just about everywhere you go inside Music Box you'll have a view of their stage. Their VIP experience is one of the best in the state. Patricks Gaslamp Pub serves live music every night of the week. They also serve up daily drink specials and popular Irish potions. What really separates Patricks is their amazing staff. They are friendly, obliging, and have a passion for live music. The venue books established, as well as burgeoning, artists. Whiskey Girl is the happening place to watch the big game and have a delicious bite to eat. Then, celebrate your favorite team's victory with some live entertainment. This live entertainment comes in the form of acoustic sets and DJs spinning the hottest platters. Want to take a trip back to the mid-20th century when nightclubs had an island flare? Then come to Cat Eye Club in San Diego's East Village. At Cat Eye Club, you'll relish the retro atmosphere as you partake in first-rate live music. Best of all, Cat Eye Club serves drinks in some very cool decorative glasses. Moonshine Flats is not your father's honky-tonk bar. It is, however, a target for those that love to dance to country music as well as rock and pop. When you've had your fill of line dancing and partying, visit their extension, “Deck at Moonshine Flats,” for some BBQ, a craft beer, and a laid-back atmosphere. Performance at Moonshine Flats. Image courtesy of the venue's Facebook page. The Fillmore is one of the most important and significant venues in the United States. Under the genius of Bill Graham, The Fillmore helped launched the careers of Grateful Dead, Jefferson Airplane, Santana, Moby Grape, and many others. Jimi Hendrix and The Who also played the Fillmore in the 1960s. Getting There: To get there by MUNI bus take either the 22 Fillmore or the 38 Geary (review bus schedule before leaving for your destination). The Chapel has a charming and laidback appeal. The Mission District venue is more than a century old and was formerly a mortuary. Yet, there's nothing stiff about The Chapel. Its high ceiling makes it visually appealing and the great bands it brings to Valencia Street make it attractive to ticket holders. Getting There: Served by 22 and 33 MUNI bus lines as well as the 16th Street and Mission BART station (review bus schedule before leaving for your destination). Since 2008, the independent DNA Lounge has been voted “Best Dance Club.” Just one visit to the SOMA District hot spot and you'll see why. This exciting nightclub has two stages and four dance floors—each has their own sound system. Hungry? Enjoy a pizza pie from their attached restaurant, DNA Pizza. Getting There: The nearest BART stations to the DNA Lounge are at 16th and Mission and Civic Center. Ten Fifteen and its sound system wallops patrons with 150,000 watts of premium audio. With all that power, it's no wonder why music fans flock to this club. At 1015, you'll find five different rooms. Each has their own bar and their own DJ booth. While you're there, check out their water-wall. Getting There: Located in the heart of the city's Soma District. 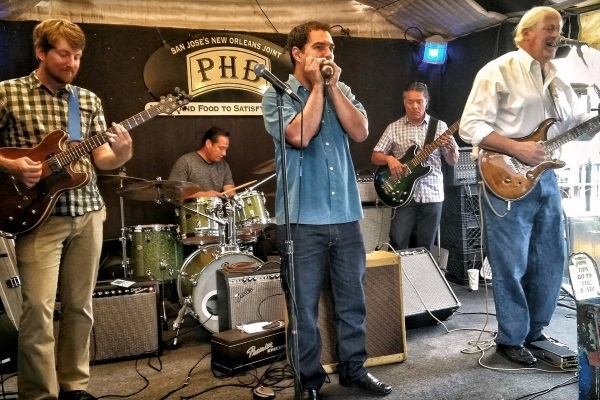 "San Jose's New Orleans Joint"
At Poor House Bistro, the musicians are always talented, the Cajun food is always spicy, and the brews are always cold. Even better, their live music, which they offer daily, and is usually of the blues variety, is free. The chefs at PHB have brought New Orleans cuisine to San Jose and have done so with aplomb. PHB found in neo classical home built in the early 1900s. Building was originally on 11th Street. Performance at Poor House Bistro. Image courtesy of the venue's Facebook page. Fenix is a revolution. After all, how many SLPRs do you know? A SLPR is a “streaming live production restaurant.” As far as anyone knows, Fenix is the first SLPR in the world. What this all means is you come to Fenix for a delectable meal and captivating live music that's being broadcasted on the internet. Fenix has a bar in the front of their venue and a wine bar in the back. 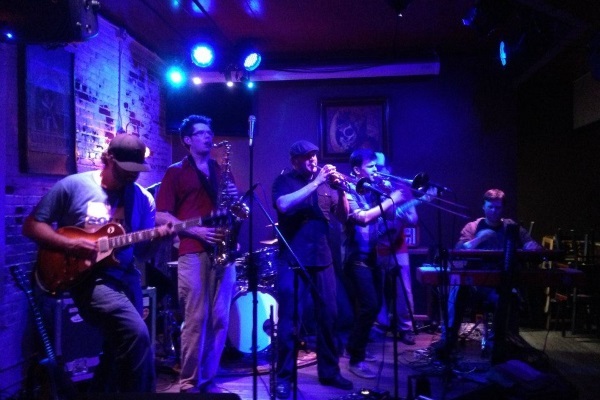 Moe's Alley excels at booking excellent musicians in a variety of genres. Whether it's blues, jazz, reggae, or rhumba, Moe's stage greets them with open arms. Besides the epic live tunes, visitors can enjoy a drink from their full bar and fresh air by stepping onto their patio. Moe's staff is top-notch. Getting There: From the CA-17 or CA-1, take Soquel Avenue exit (for complete directions visit venue's website). Belly Up is a highly touted live music venue in Southern California. The astounding staff works hard to bring top acts to the stage and to make your experience memorable. The 21 and over club does serve bar food and drinks. If you're looking for an enchanting meal, step next store to the Wild Note Café. Box Office window open one hour before shows (subject to change, always call ahead). The Stockton Empire Theatre dishes out live music, comedy acts, and film festivals. Patrons can partake in dinner, desserts, and drinks. With all that it has to offer, the Stockton Empire Theatre is one of the main attractions on the Miracle Mile. The venue's neon sign is definitely art deco inspired. Opening night for the Stockton Empire Theatre was Feb 6, 1945. Stockton Theatre was built for $150,000. Seventh theatres have had “Stockton” in their names. For over 30 years, Bombay has been entertaining Venturans with great live music and mouthwatering burgers—which are currently created by Chef Andy Brooks. 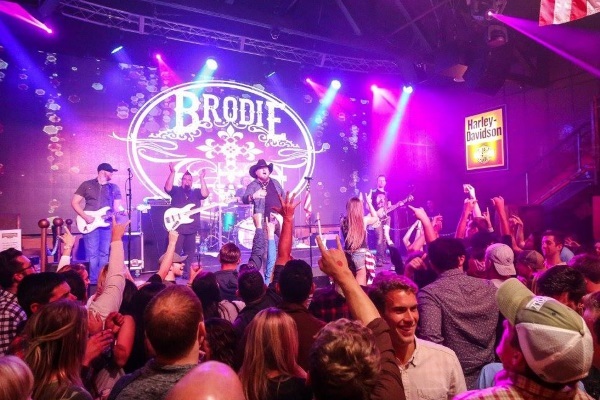 This Ventura landmark is rocking two stages and two state-of-the-art audio systems. The staff is superb and if you don't like burgers try their wings. Longest bar in Ventura county, it's over 140 feet. Inside Bombay. Image courtesy of the venue's Facebook page. The hip Majestic Ventura Theatre will impress you with its great sight lines and terrific acoustics. It really doesn't matter where you are in the venue, you'll feel close to the band. The Majestic welcomes artists from every musical genre imaginable. If you're driving, there is an accessible parking lot nearby. Troubadour has seen a lot of history over the years. Ringo Starr jammed with Joe Walsh and Don Was in 2012. 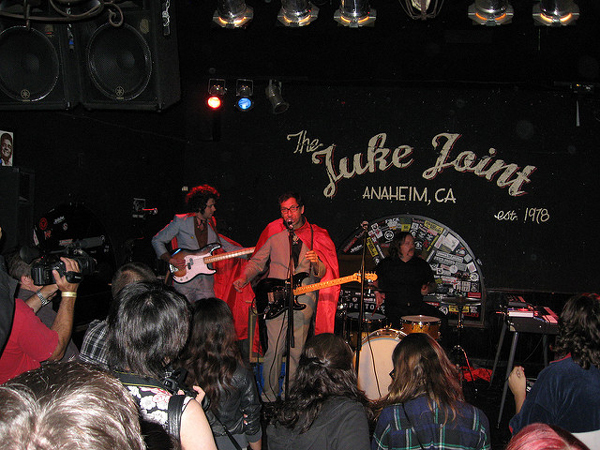 Price played two surprise shows in 2011. Also that year, John Legend and The Roots played "Wake Up" for the first time in L.A. And let's not forget, Elton John made his U.S. debut here in 1970. The Roxy Theatre is a West Hollywood landmark and an iconic music venue. Over the years, The Roxy Theatre has hosted sets by Bob Marley, Bruce Springsteen, and Patti Smith. In fact, all three of those artists have released concert albums which were recorded at the historic Roxy Theatre. The Viper Room has a reputation for being a hangout for celebrities. After all, Johnny Deep co-owned the venue until 2004. On Halloween of 1993, The Viper Room saw River Phoenix die from a drug overdose. Two years later at the VP, Australian singer Jason Donovan fell into a drug-induced coma. The Palms Playhouse began its journey in the late 1970s in a barn. In 2002, the playhouse moved into its current digs, The Winters Opera House. This “cultural oasis” books whatever kind of acts suit their fancy. The venue is cozy, causal, and you're never far from the stage. 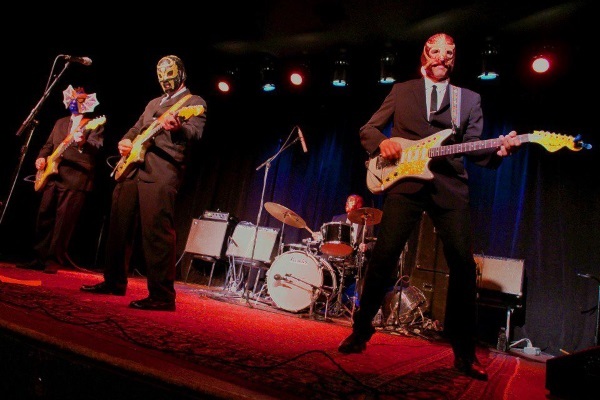 Los Straitjackets performing at the Palms Playhouse. Image courtesy of the venue's Facebook page.